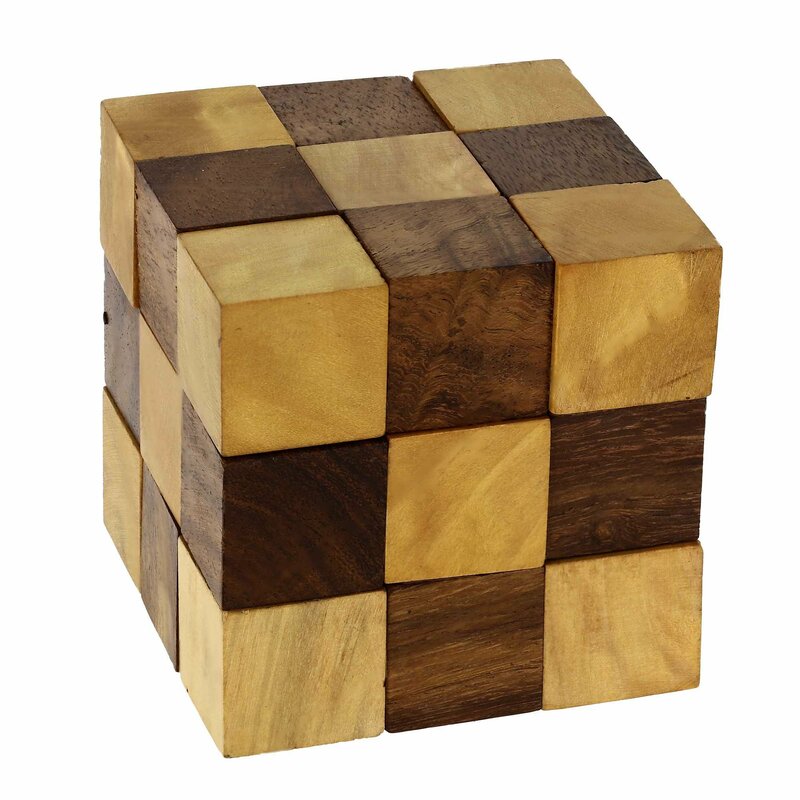 Gift this fascinating wooden puzzle to polish your child’s and your brain andhand coordination. It is an elastic string connecting all wooden blocks in twodifferent colors. The jumbled up blocks in a snake-like structure have to beconnected to form a cube. This puzzle is unique and it is as challenging foran adult as it is for a child. Keep it in your living room and have a funfilled evening with your guests.